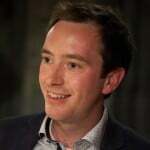 Home » Blog » General » School Funding: It’s all fine guv. Honest. Apparently, unlike most current, ex- and trainee teachers, the government “do not recognise these findings.” They also reject the findings of a recent report from academy accountants Kreston Reeves, which finds that the proportion of trusts operating with a deficit has increased from 21% in 2015 to 55% in 2016/17. It’s unclear how the government are able to maintain this position. The DfE’s own interviews with head teachers (cited in a 2016 NAO report) reveal that schools are increasing class sizes and contact time to cope with funding cuts. Rely more on unqualified staff. None of these seem great approaches to improving standards. The government insists that the “latest figures show schools hold surpluses of more than £4bn.” However, EPI make it clear that budget disparities between schools are growing. News that schools elsewhere in the country are doing better is unlikely to reassure parents of pupils in the third of LA secondary schools in the South West that are now in deficit. Given the government’s slim majority and dependence on recent parliamentary wins in Cornwall, this should surely be a wake-up call – particularly given that school funding is an increasing concern amongst voters. Were the situation not so worrying, the claim that the solution lay simply in shifting energy supplier would be comical. Given the mounting evidence, repeating that “thanks to our reforms and the hard work of teachers, standards are rising in our schools” no longer cuts the mustard. The government has largely given up on trying to deny the teacher recruitment and retention crisis. It’s high time it did the same on school funding. 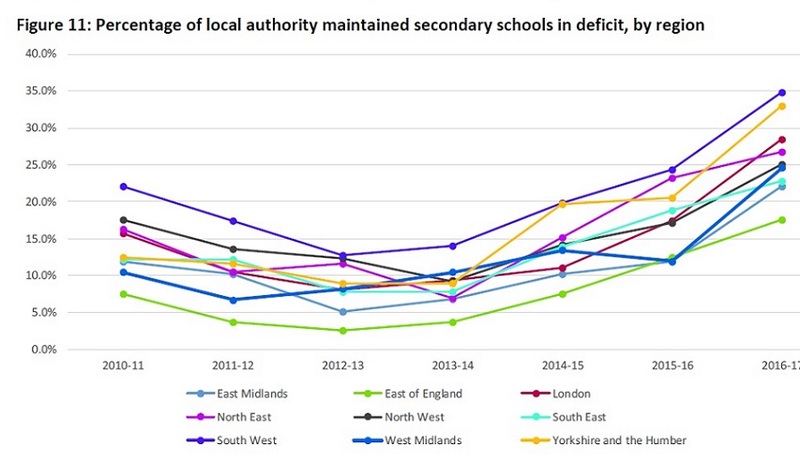 Over the four years up to the end of the last financial year, the proportion of local authority maintained secondary schools in deficit nearly trebled. It went from 8.8 per cent in 2013-14 to 26.1 per cent in 2016-17. Two in five state-funded mainstream schools (around 7,500 schools) are unlikely to receive sufficient additional funding in 2018-19 to meet the single cost pressure of a 1 per cent pay settlement. This rises to nearly half in 2019-20 (close to 9,000 schools). Around two-thirds of school spending is on education staff. Schools are therefore unlikely to be able to achieve the scale of savings necessary without also cutting staff. During the 2017 General Election campaign, school funding rose from being the fifth most important issue for voters to the third. Larger schools (or more precisely, higher spending schools) are not achieving economies of scale in relation to non-staffing costs. For the first time, more than half of primary schools are spending more than their income. 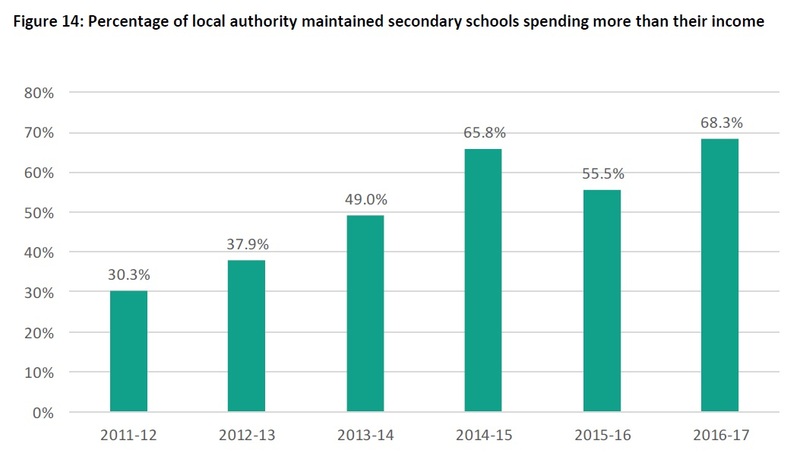 Over the four years up to the end of the last financial year, 2016-17, the proportion of local authority maintained secondary schools in deficit nearly trebled. 40% of LA secondaries have had falling balances for two years or more. Expecting schools to meet pressures from a combination of core government funding and their reserves does not, for many schools, look feasible even in the short term.